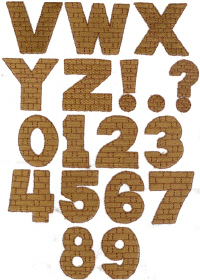 This basket weave alphabet includes 2 sizes: 1.5" and 2.5" tall. 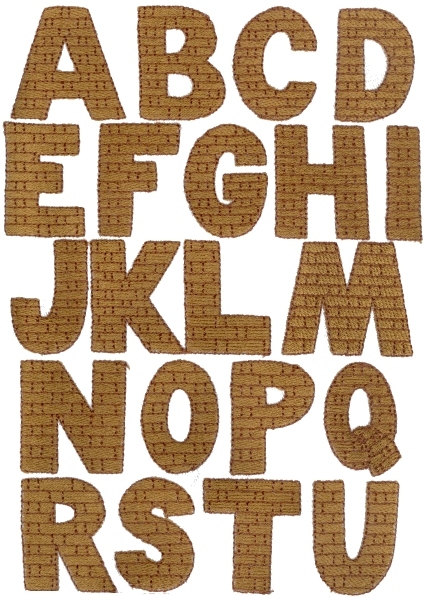 All 26 capital letters plus 10 numbers and 3 punctuation marks. It has been digitized under exclusive license granted by Nippert & Co. Artworks.